Since 1993, we’ve had Brisbane’s wonderful Asia-Pacific Triennial celebration of the region’s visual arts and, since 2007, Adelaide’s annual OzAsia Festival, ranging across the arts but with principal focus on performance and revitalised since 2015 under the direction of Joseph Mitchell. 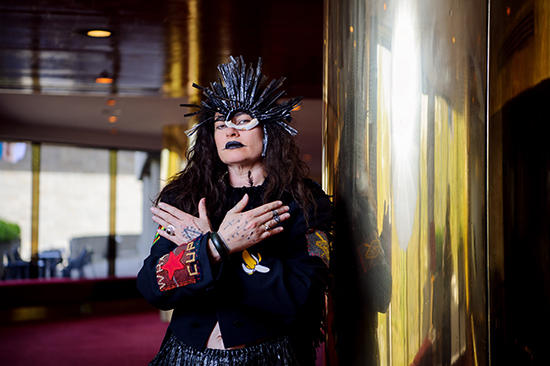 Now Melbourne has Asia TOPA, a triennial event with a rich performance program manifesting a multitude of origins, forms and collaborations. I asked the festival’s dynamic duo, Creative Director Stephen Armstrong and Associate Director Kate Ben-Tovim, to talk about some key works in their impressive program. 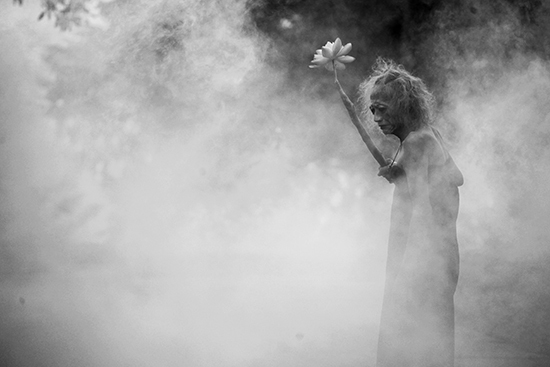 KBT Satan Jawa is a big Indonesia-Australia film and music collaboration. I have a long history with Indonesia. I lived there for a year in 2009 and I guess I’m always really surprised at the lack of large-scale work from Indonesia that we see in Australia. This has changed over the last couple of years, particularly in the experimental realm. There are so many globally significant artists in Indonesia. We met filmmaker Garin Nugroho and invited him to one of our early Asia Labs—the development process we’re running here through the Melbourne Arts Centre—in the very early life of Asia TOPA. 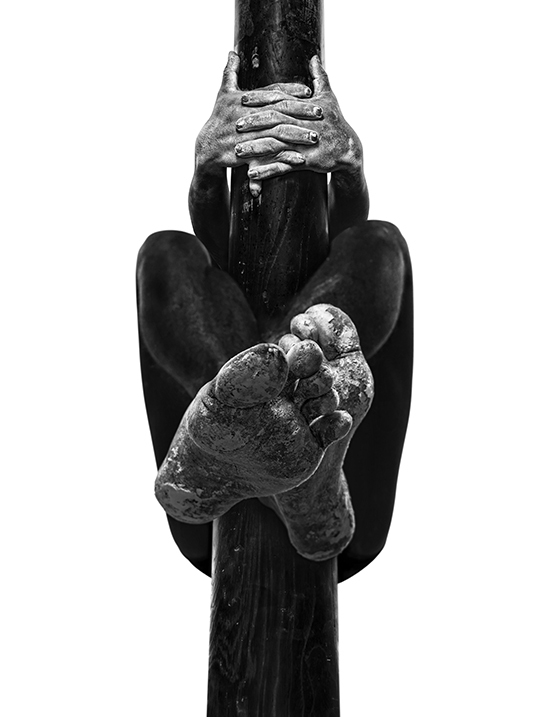 Garin is a cultural leader and innovator in Indonesia and makes stunning works. 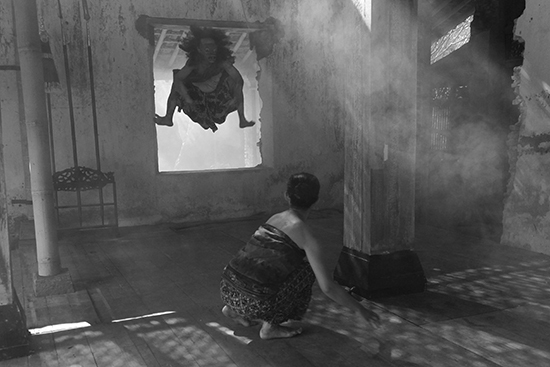 At that point, about two and half years ago, he pitched to us this idea of making a silent film based on a Javanese myth about a deal made with the devil to attain wealth. He said, “I’ve always imagined an orchestral score going along with it,” and he spoke as if this was an almost outlandish proposal. But this was one of those situations where we could actually make it happen. About two weeks later he came back to us and we thought he’d give us some early rushes or a more detailed outline but he said, “We’ve done it. We’ve made the film,” and sent us a link to basically the rough-cut. Indonesia is so like that; if you’re going to do it, you just do it and you do it now. It’s about 70 minutes long and in black and white. His style is really lush and evocative. All of the performers are dancer/singer/actors, which is also common in Indonesia. A lot of the movement language is actually Javanese classical dance. It’s very much based in tradition, which all of Nugruho’s work is. Javanese culture even now has so much tradition but also religious layering. He’s really interested in mysticism, also really important in the culture. Garin has worked a number of times with the Indonesian composer Rahayu Supanggah who wrote the score for Robert Wilson’s I La Galigo (2004) and worked with Garin on Opera Jawa (2006). He’s had some experience working with Western musicians but he’s certainly not a Western orchestral writer. Garin didn’t want a pure gamelan score because the film is actually set in the 1920s-30s during the Dutch colonial time in Java. He always had the idea of a Western symphonic element because that was the world he wanted his piece to be in, that time before independence when there was still very heavy Javanese tradition but also strong Western influence. We knew someone had to come into that mix and that someone had to be Iain Grandage. Not only is he a great composer but it’s such a huge cultural thing to do, to bring these two musical worlds together. A huge process of swapping music, trips back and forth, two different notation types, two scales. They’ve been working over the last year to put this piece together. They have final rehearsals with all of the musicians and we see it in a couple of weeks. SA This is an exemplar project for us, firstly because it came out of the process we established through the Lab. Instead of buying and putting on a performance for two nights only with no context and pretty much struggling to find an audience and to find a resonance for it, we invested the Asian arts budget here at Arts Centre Melbourne in reciprocity. So we’re actually part of building repertoire, supporting artists, offering artists mobility and giving them the capacity to make their own choices about whom they collaborate with. Rather than saying, let’s put the money into a co-production and then go to that artist and that artist and put them in a room together and then program something, actually, just give them the capacity to meet and spend time together. SA One of the works I’m really excited about is Attractor. In 2015, we offered choreographer Gideon Obarzanek an opportunity to work with us on Kuda Lumping which was presented during Supersense Festival of the Ecstatic (2015). That experience, which involved working with a group of Indonesian performers and a shaman, convinced us that Gideon was the person to help shape what would [in its original setting] have been a durational event in a village lasting a whole day, if not longer, into something approximating a performance that was still durational and about participating at a sensual level, which is what this particular form does. The performers end up being possessed by spirits. They roll around and eat glass and perform all manner of superhuman feats. It was quite astonishing to have that on the stage here at Arts Centre Melbourne. Gideon has the sensibility to understand what will connect with a Western audience. What we don’t want to do is to program works and have to teach people how to read them. Nothing turns people off more than the idea of their cultural experiences being pedagogic. Instead, we celebrate the fact that contemporary performance is contemporary performance, regardless of where you’re from. All of us bring our traditions to what we do, however contemporary we are. So Gideon was the perfect person to work [on Attractor] with the music duo Senyawa because he’s inter-disciplinary and he understands space and time. That’s something choreographers have that many theatre directors don’t. Describing this work is difficult. It’s like a combination of heavy metal, opera and wild invention, using [electrified stringed] instruments the artists made themselves. When we visited them in Jogjakarta, the main room of their house was full of these extraordinary instruments that they’d been building out of farm equipment made redundant because the land had been re-purposed. Instead of trashing it, they converted it into instruments so that each piece could continue to ‘sing’ its knowledge. It was an incredibly powerful story and made me understand why artists make work, particularly in South-East Asian communities that have been so rapidly urbanised—and not in a lifetime, in a decade! There’s enormous pressure on contemporary artists to be part of the protection of their culture, finding ways for it to be performed, be relevant. That’s what these guys do. We brought them out here and it was Gideon (and subsequently with Lucy Guerin) who understood that a collaboration with them would only be meaningful if their performance was actually at the centre of the work, not the choreography with the sound as support act. He really understood how to integrate what he might do and they understood his sensibility in making that choice and so agreed to work with him. It’s a participatory performance. It begins with just the music and then the dancers—eight performers from Dancenorth. It’s quite a large-scale work, [staged in] a fairly intimate performance space. The performers begin to engage with the sound in an ecstatic style—seemingly random but gestural, at times syncopated and then during the course of the performance, becoming freely abandoned. The audience is seduced to join the performers onstage and while some audience members are ‘pre-set,’ they’ve not been rehearsed but have earphones conveying what is to be achieved at any particular point. Gideon calls it “an ecstatic ritual for non-believers.” It’s not trying to reproduce for a Western audience an experience that can really only happen if you have an understanding of its various stages, if it’s part of your life, part of your village culture. But at the same time, we are endlessly seduced, endlessly drawn into ritual and endlessly obliging in this Western capitalist life. So there are all sorts of resonances for me. And it’s really stretched Gideon and Lucy in their choreographic language as well. SA I’m also excited about Wang Chong working with Lachlan Philpott on Little Emperors. I think Lachlan is one of our really top writers. He embraces the idea that playwriting is about sub-text and he does it exceptionally well. Director Wang Chong is a real maverick in China. He recently had a production that won an award and was closed down. China’s one-child policy is an amazingly fertile subject. KBT The program involving artists from India is pretty interesting for me—I also lived in India for a couple of years. 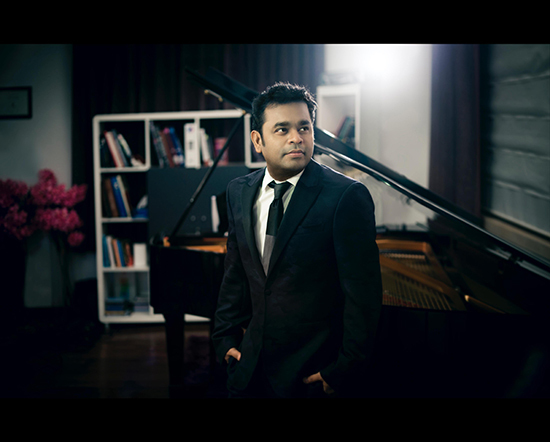 What I really love is that our program ranges from, say, the work of composer A R Rahman who’s pretty close to a god in India. When things have cultural saturation, the scope of influence these people have is just impossible to imagine, and particularly so for anyone associated with Bollywood. And then to see some of the collaborations between Australian and Indian artists like the production One Beautiful Thing has been really great. I was with Circa’s Yaron Lifschitz on his first visit to India and their recent audition trip for the performance. 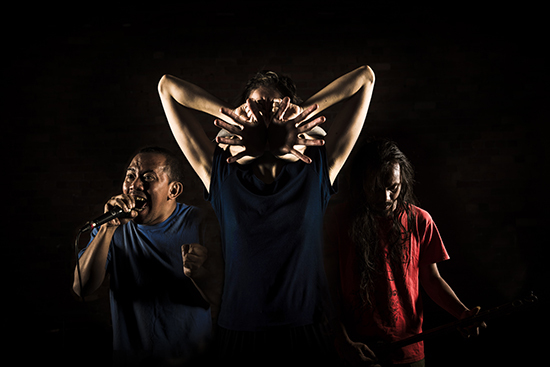 Yaron’s creative exploration has broadened out to include other Circa ensemble members and the Indian physical performers who introduce the form called mallakhamb, which is almost like wrestling. It’s a sport and there are competitions but it’s also a yogic practice, something you do to be a well-rounded person. And it is also like a circus performance on a pole that looks a little bit like a Chinese pole and requires those sorts of skills. The performers are all between 16 and 20 and they’re all absolutely not out there on the professional circuit—in fact, there is no professional circuit—and they’re going through the process of being creative agents in the making of this work and all of the rigours of presentation. I think these are really important examples of what you can do in a festival like this. 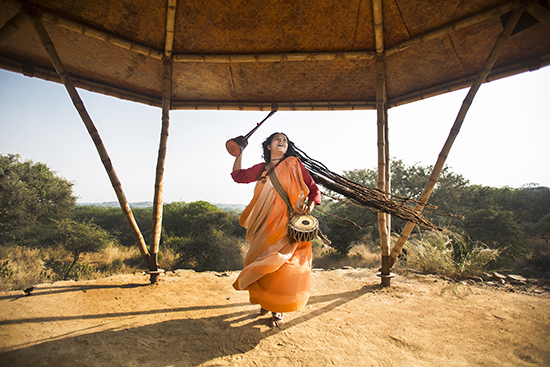 KBT Parvathy Baul is in the mystical Sufi tradition from Bengal. She’s kind of transcendent love really, just the most amazing performer and we’ve commissioned her to bring a group of master musicians with her and also women from her community in Bengal who make huge mandalas made of coloured sand on the floor of the performance space. It’s a four-hour durational performance. And again, this is one of those beautiful, ritual processes you don’t often get to see out of their context. SA We should also mention Lukautim Solwara (look out for the ocean), which is the Next Wave component of the program. The $2 million we raised through the Sidney Myer fund was really the kick-start for this whole event. At our own choosing we devolved a quarter of that money to ensure that a broad cross-section of Melbourne arts makers and cultural leaders could initiate something early and then use that to leverage more support to make really exciting things happen. Georgie Meagher had just come on board at Next Wave and we had some conversations with her. In the end, she decided she wanted to focus on Pasifika artists and young, emerging Indigenous Australian artists, which was brilliant for us. She selected Rosanna Raymond—a Samoan-New Zealand artist who works in museum contexts. She created a room called The Savage Club at the most recent APT. She’s a fantastic mentor for young Pasifika and Indigenous Australian artists who will work together for over a month to create a space and performance staged at ACCA. SA Tao Ye refuses to offer any rationalisation for his works so he just numbers them 1, 2, 3, 4, like a series of untitled works by a visual artist. Secondly, because in each of the works he’s increased the number of dancers. He started with no capacity and slowly built. He had three dancers. And then a friend said he’d join the company and suddenly he had four. He had no money. None of these artists have money. We have to acknowledge that when these works come to our festivals. Tao Ye’s choreographic language is something that you simply haven’t seen before. He explores the notion of synchronicity to an absolutely extreme degree. 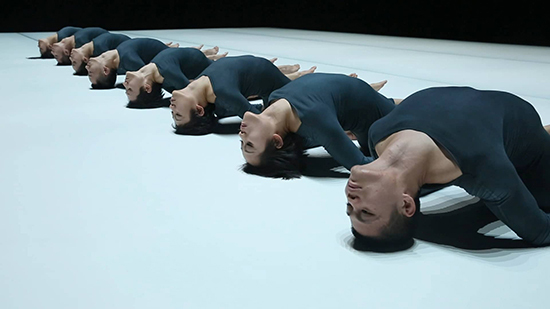 These performers literally move and breathe as a single organism. There’s one piece that we presented in 2015 as part of Supersense where they were touching one another’s bodies for the entire performance. So they were literally a single entity. But for both of these pieces for Asia TOPA they are separate. He wants us to see that these are individuals performing exactly the same movement and through the most minute of difference in expression to understand how we as individuals exist in the world. And you really do feel that. In the second piece, no 8, he has his performers lying on their backs for the entire performance. He’s bold, he’s daring and he’s a philosopher artist. No question. SA We’re enjoying the experience. It’s impossible not to be daunted by the challenge at the same time but really, in our estimation, we cannot go back from this. And that’s the best reward of all. So many of these artists would not have been seen on the Melbourne stage if not for this opportunity and we’ve commissioned so much work. I think there are 20 new works in Asia TOPA and well over half of them have been created specially for the event. That is not how festivals normally work. While there is an inherent risk, there’s also an imperative. Is this not what a festival can be? I’m not going to say ‘should’ be because I think festivals can be many things. But if a festival is about celebration, celebration always throws light on something and I think Asia TOPA is throwing light on something pretty bloody special. For the extensive program visit the Asia TOPA website.